Wonderful news! 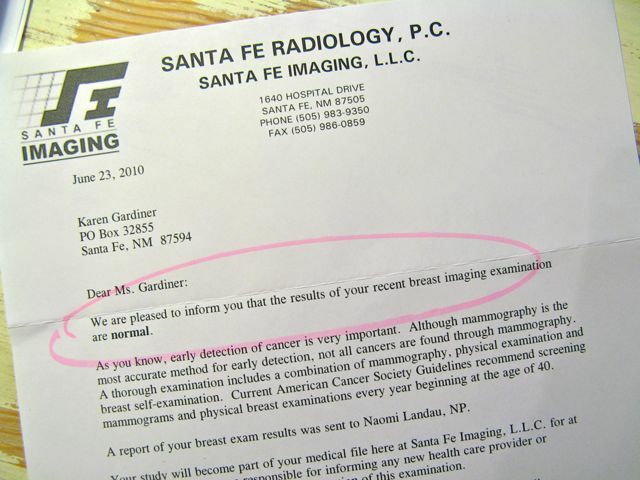 Both Mom and I have gotten the results of our mammograms back and – drum roll please! – we’re both NORMAL! All joking aside, I’m completely grateful to receive yet another affirmation that I’m in good health. My “one year anniversary” of being diagnosed with cancer is just a couple weeks away – and what a year it’s been! Thankfully, I’m feeling better and better each day, and I have every intention of keeping it up! Karen, congratulations on the test results from down under. I love good news – too much bad stuff in the world today! CONGRATS!!! I always knew you had some normal in there my dear sista!